The following article appeared in the August 2014 issue of Fleet Equipment. It contains excellent analysis of the relationship between commercial tire balancing and fuel economy. We hope you find it useful. The issue of tire/wheel assembly balance has been debated for decades. Several significant changes have influenced these discussions, which resulted in changes to maintenance policies and, in some cases, later reversals of these policies. 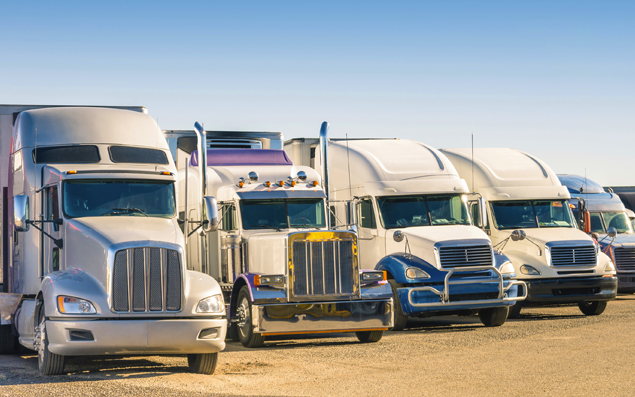 Historically, the goal has been to use balancing to prevent or solve complaints of truck ride, vibration and even wheel hop. Many bias ply truck tires produced into the mid-1970s came factory-equipped with “balance pads” in an effort to reduce the need for excessive correction when the imbalance of wheels/rims, hubs and brake drums was added to the tire non-uniformities. The switch to radial tire construction in the early/mid-1970s eliminated much of the bias ply balance issue, although balancing steer tires has remained a common practice. Hubs and brake drums also improved in uniformity and are currently balanced by the manufacturer. Industry developments dictate that there are new and compelling reasons to consider balancing all wheel positions on linehaul equipment. Most importantly, recent information published by the S.11 Energy Conservation Study Group of the TMC shows that balancing all wheel positions on over-the-road rigs can save up to 2.2% fuel compared to non-balanced assemblies, regardless of truck ride considerations. Recommended Practice (RP) 1111 titled Relationships Between Truck Components and Fuel Economy cites the fuel savings that fleets can reasonably expect from various aero and mechanical components, based on actual user reports and/or TMC-endorsed fuel economy testing procedures. Tire engineers have long promoted balancing all wheel positions and the S.2 Tire & Wheel Study Group of TMC has continuously endorsed this for optimum tire performance. In technical terms, all rotating assemblies such as crankshafts, turbochargers, flywheels and clutch assemblies have enhanced durability and energy conservation when balanced. Considering only tire/wheel assemblies, proper balance is also documented to resist the development of irregular wear patterns and driver requests for early (pre-mandated) tire pulls. This is noteworthy as it is widely documented that all radial truck tires have reduced rolling resistance as they wear, with new tires being less fuel efficient (up to 6% difference) than their worn counterparts. Therefore, managers who can extend tire take-off mileages also reap a second fuel economy gain beyond that due to the balancing noted above. Fuel savings of this magnitude rival advantages claimed for trailer side skirts, flow through mud flaps, streamlined mirrors and other such improvements. One related issue to consider is that maintaining balance is important throughout the tread life of the tires. A typical linehaul 295/75R22.5 drive tire loses approximately 30 lbs. of tread rubber from new to a popular pull point of 6.5/32 depth remaining. Practically, this mass change means that periodic re-balancing may be required to maintain optimum balance and performance as the tires wear. In the past, this meant bringing the truck/trailer in at least once or more during tire tread life to check/revise balance—a costly and labor intense process at best. Recently available products designed for use inside the tire/wheel cavity solve this issue by continuously auto-balancing, adapting the weight distribution inside the tire to compensate for the constantly reducing tread mass. Most of these materials work as claimed, but savvy managers should consult RP 246 titled Considerations For Products Intended For Use Inside Tires. This RP includes guidelines for use, as well as questions potential fleet users should discuss with their suppliers if they are not experienced with using these new generation products. The availability of new information and technology should be evaluated and new or revised spec’ing and maintenance policies studied. Industry field engineers and other quality assistance can help if you simply ask.